John Sheehan (Oxford) Limited created a semi-basement in this stunning contemporary redevelopment of a family home. 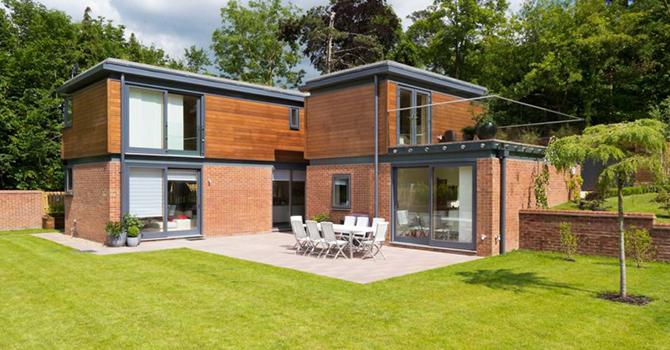 Our team of basement experts worked closely with Oxford Architects to enable the development of the stylish build. By carefully creating the semi-basement and tanking it enabled the Lodge to be set into the landscape and reduce the perceived size of the property externally. This modern high-spec project was delivered on time, on budget and to an exceptional standard of finish.